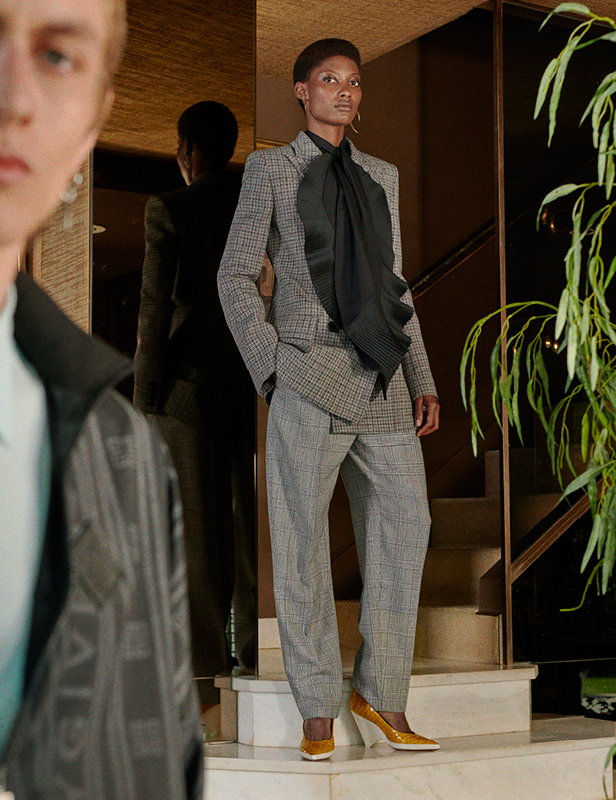 For Spring 2019, artistic director Clare Waight Keller draws on her British roots by mixing traditional men’s tailoring and fabrics with playful cues, such as sharp shoulders, from the Eighties and grounding it all with day-to-night practicality. 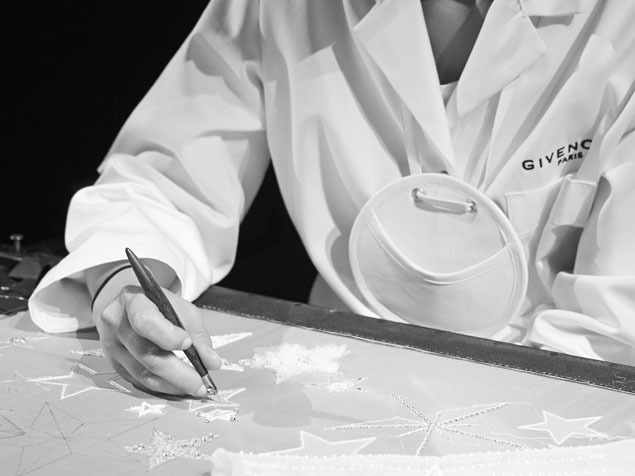 Hubert de Givenchy cultivated a life-long interest in Japanese culture. Picking up on that history, Clare Waight Keller drew from her own recent trip to Japan as well as key pieces from the archives for the spring collection. Multiple layers of references come through in the looks’ crisp, graphic lines, saturated color palette and Japanese-inspired prints and fabrics.